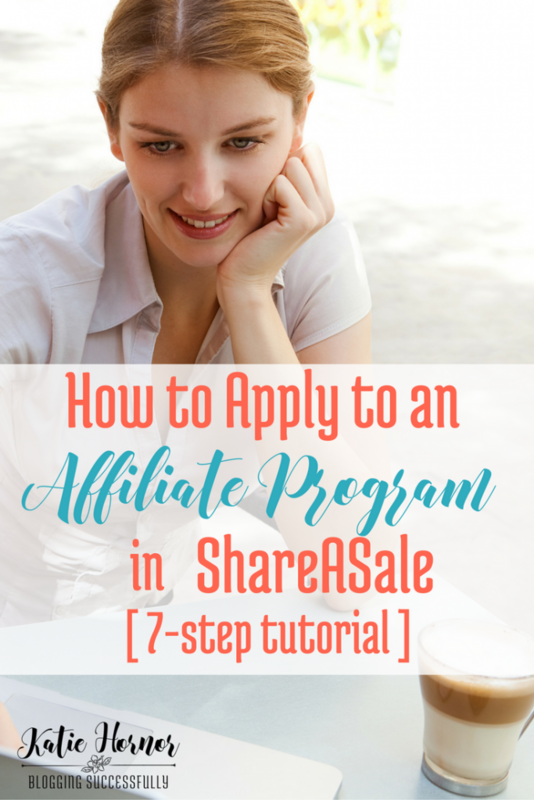 Some feel like ShareASale and other larger conglomerate affiliate programs are hard to use, and thus avoid them. I know I did at first. It was so frustrating, and without a good tutorial, it just wasn't worth my time. I've come to realize that the benefit of working with these larger affiliate platforms however, is that all of the income funnels through your one account. You can make a single sale for 2 merchants in some cases and reach your commission payout thresh hold, whereas it would take you twice as long if you were promoting each of them through individual payment platforms. I've since learned how to maneuver inside ShareASale, and want to to walk you through it step by step, so you too can leave the overwhelm behind and start getting paid to promote those products you love. 1. Go to ShareASale.com and either Create an Account or Login (if you already have an account). 2. Once you are logged in you want to go to Merchant/ Search for Merchants in the top left of the screen. 5. In most cases a pop up will come up and you'll be asked to give some information and/or accept the company's affiliate terms. In the case of SHOTBOX they want to know where you will be using your affiliate links. and then be sure to read the terms and click the box that you agree. 6. With SHOTBOX you may get an immediate notification of approval, or you might get an email from ShareASale explaining your next steps. Some merchants review each application individually, which takes anywhere form a few hours to a few days, while others approve affiliates automatically. 7. If you're approved immediately, you can go to the merchant's account and get your affiliate links and banners and begin placing them on your website. And if you'd like to apply for another merchant, just go back up to step 2 and repeat. Important: You want to be sure to click on Account/ Edit Settings as soon as you send out your first affiliate link, to be sure that your address and payment information are all entered correctly and are up to date. ShareASale requires that you file a W-9 form prior to receiving any commissions. If you make any changes to your information, just click “submit changes” at the bottom of the page to save them. As someone who has earned thousands in affliate commissions in a month, I know the potential affiliate marketing can have to change your life and your business. If you'd like to learn more, check out our Affiliate Marketing Secrets and Strategies Course. It's never too late to learn something new!